"Incorporated in 1795, the Town of Plymouth owes its beginnings to the foresight of such manufacturers as Eli Terry, Seth Thomas and Silas Hoadley. The manufacture of clocks first gave Plymouth national recognition. Eventually Seth Thomas moved from Plymouth Center to Plymouth Hollow (now Thomaston) to continue the trade. 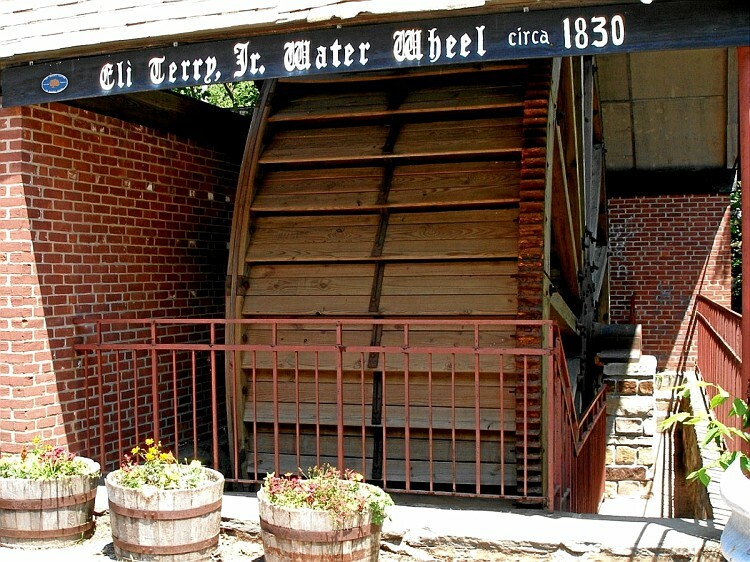 Eli Terry, Jr. carried the Terry name eastward to (now) Terryville where clocks, and beginning in 1830 locks, were manufactured through harnessing the power of the Pequabuck River. The latter enterprise became known as the Eagle Lock Company, which enjoyed a worldwide reputation and employed some 1,800 persons at its peak. In other words, Plymouth is business friendly, offers a favorable business climate, a skilled work force, excellent transportation and utility infrastructure, a quality education system, and best of all, caring people."